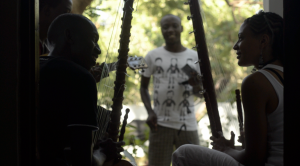 Earlier this year while traveling in East Africa, Jacob had the opportunity to team up with Royal Robbins and two passionate filmmakers, Rob Frost and James Q Martin, to create this short film about the power of collaboration and the spirit of music. Stone town is haunted in the most beautiful way. Each board used to frame a window seems to have been pulled off of some vessel from the 1700’s, and hand carved. If you stare down the narrow stone streets for long enough, you get the feeling that the people that built this labyrinth are still present. You can feel ancestry in progress within the Taarab music as its being played. It has a mournful quality that resonates somewhere between the past and the now. The rhythms and tones made me feel like I was witnessing the music score of ancient Arab theater being created before me. 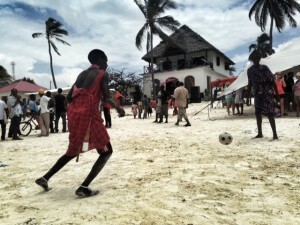 Masai tribesman often work security jobs at hotels in Zanzibar, and engage in soccer matches on the beach during breaks from work. The more I travel, the more impromptu games I see erupt. Besides music, it feels like the next closest language that requires no words to engage in. Truly, universal. 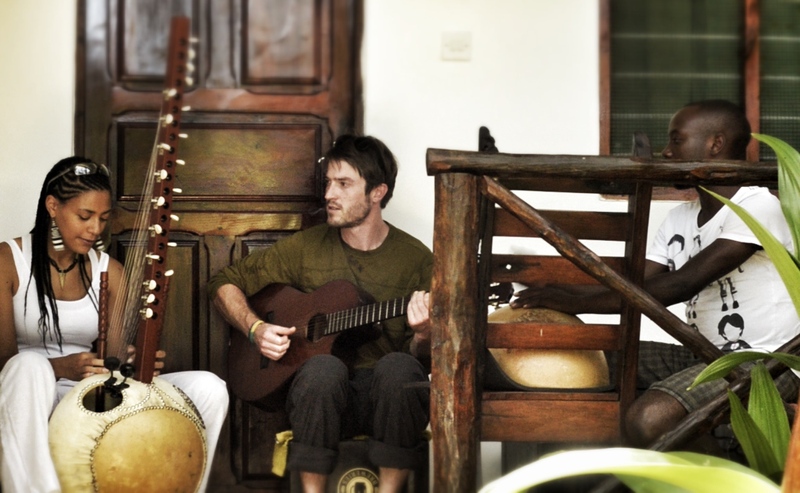 I came to Zanzibar to play music at an intimate festival on the east side of the island in a small beach community known as Jambiani, and to engage with an art center in the heart of Stone Town called the Dhow Countries Music Academy. I accompanied my dear friend and founder of a non-profit called Learn Africa, Johnny Fernandes, to discuss some ideas about a musical exchange program, and an instrument collection project for the center. 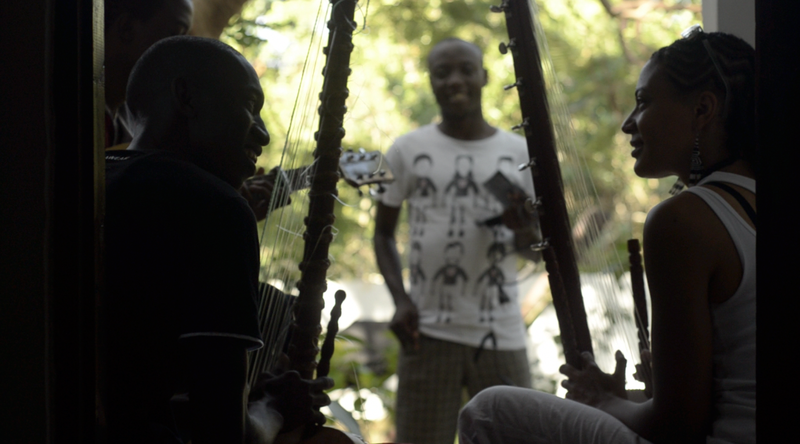 I also got to meat up with an amazing musician from The Gambia, with whom I will be visiting in December. Her name is Sona Jobarteh, and she plays a beautiful instrument called the Kora. She learned from her father and her Grandfather, who learned from their fathers and grandfathers. The Griot culture is one of oral tradition, and the mastery is passed down from hand to hand. When Sona would begin to play, the hairs on the back of my neck stood straight up and my eyes began to water. Her music was so powerful that it evoked an emotional response in me. She showed me a new way to tune my guitar, and took the time to teach me an accompaniment to a famous Kora song called Jarabi, which means Passion. We practiced and performed together at the festival on Jambiani beach. It was a highlight for me, and a moment I will never forget. One morning there was a line of sailboats lining the shore. Hand carved from Mango wood, these Dhows were something else. I chatted with a couple sailors before they set out into the Indian Ocean. The man that I spoke with assured me that they were destined to take 1st place in the annual race. 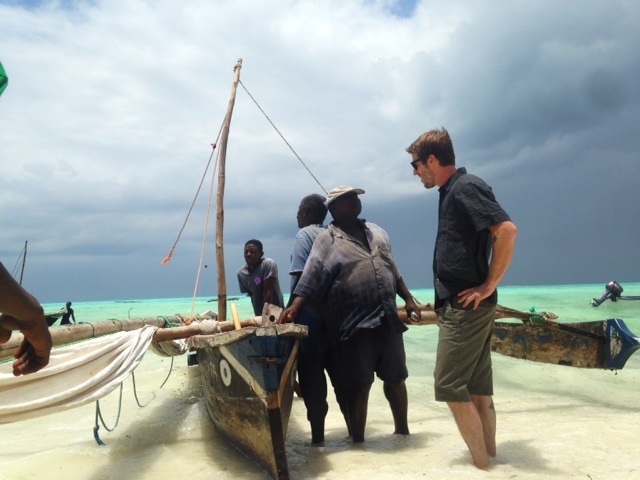 In summary, Zanzibar blew my mind. 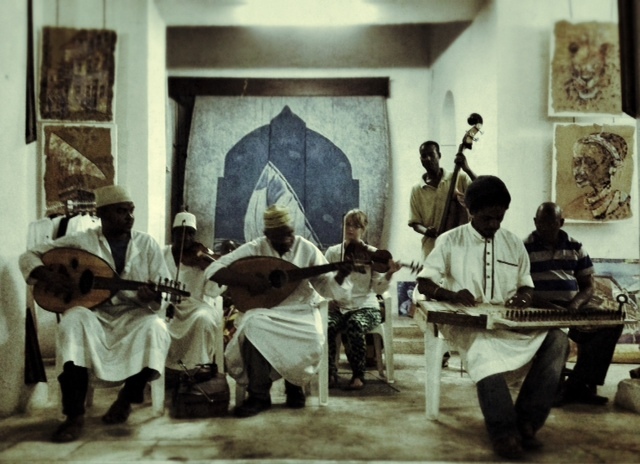 The people were kind, and the emphasis on local agriculture, musical tradition, and recycled art inspired me deeply. The Taarab music fills your head, and the smell of fresh cloves and cinnamon fills the narrow alleyways of Stone Town.